A Vietnamese blogTinhte.vnadds to the list of Apple iPhone 5S rumours, that inevitably begin to ramp up in anticipation of the summer release at WWDC 2013. This time the rumours surround the iPhone 5S camera and the improvements Apple intend on building into the new iPhone 5S. The current Apple iPhone 5 has arguably one of the best cameras on the market, and whilst it doesn’t boast the most Megapixels of smartphones coming in at 8MP, the performance Apple have squeezed out of it yield impressive results. However, a statement obtained from Tinhte.vn from Wonderful Saigon Electrics, who manufacturer components from Apple, states that the camera in the iPhone 5S will see an increase from 8MP to 12MP. This would be accompanied by improvements in lower-light performance, something that the current iPhone 5 stuggles with currently, as well as the introduction of HDR Video Recording. Steve Jobs famously said it wasn’t about the Megapixels, it was about the photons and how they are utilised by the camera lens, but in a market where it seems the race is on to cram the biggest Megapixel camera into a smartphone, Apple may be forced to play the numbers game for consumers who simply do not understand the significance of other factors. A 12MP camera would definitely contribute to performance and quality of the iPhone 5S camera, but improving aspects such as the low-level light performance would be significant in the battle for the best smartphone camera. The source of the rumour should obviously be taken with reservation, despite it lining up with exactly what we are expecting for the iPhone 5S – a speed bump over the current iPhone 5 – so there may be some truth in the rumours. 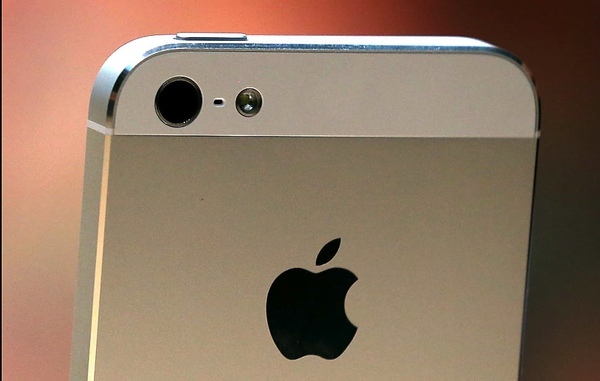 Do you think the iPhone 5S needs a better camera, or is the iPhone 5 good enough for you? Let us know in the comments section below.